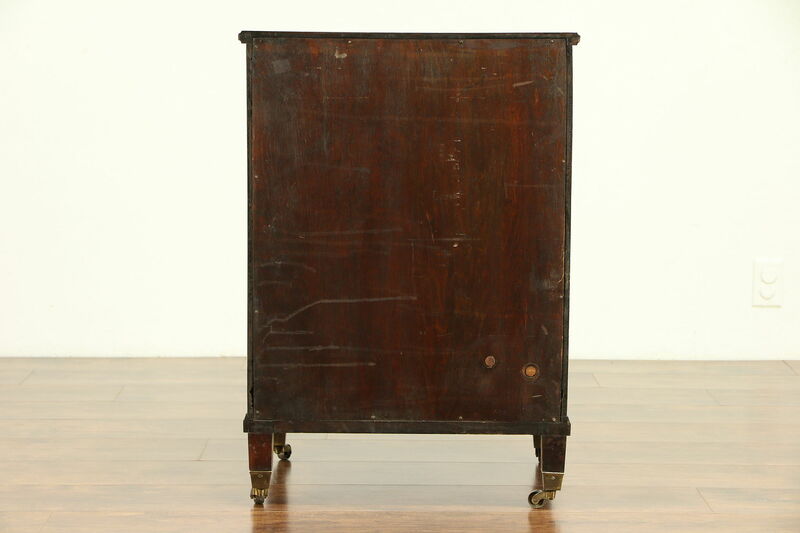 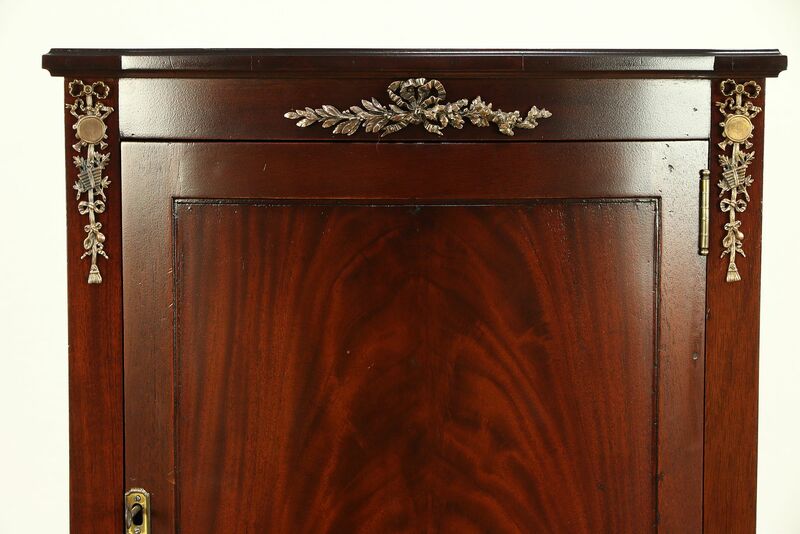 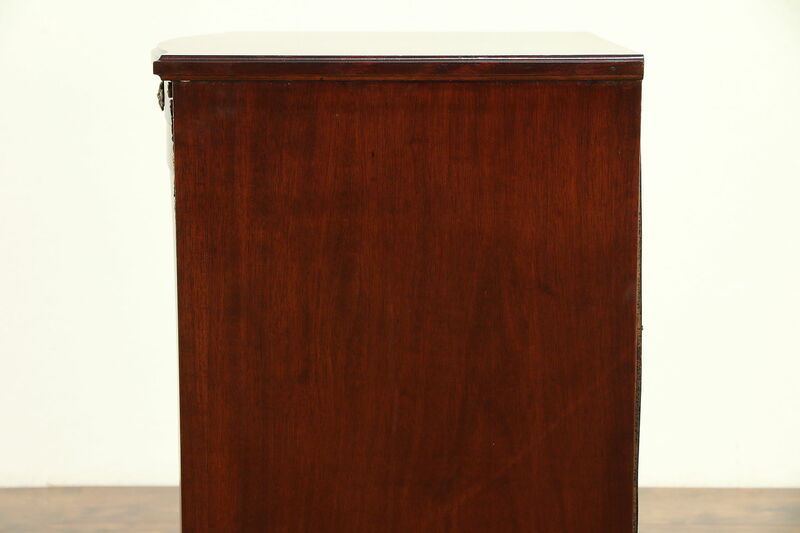 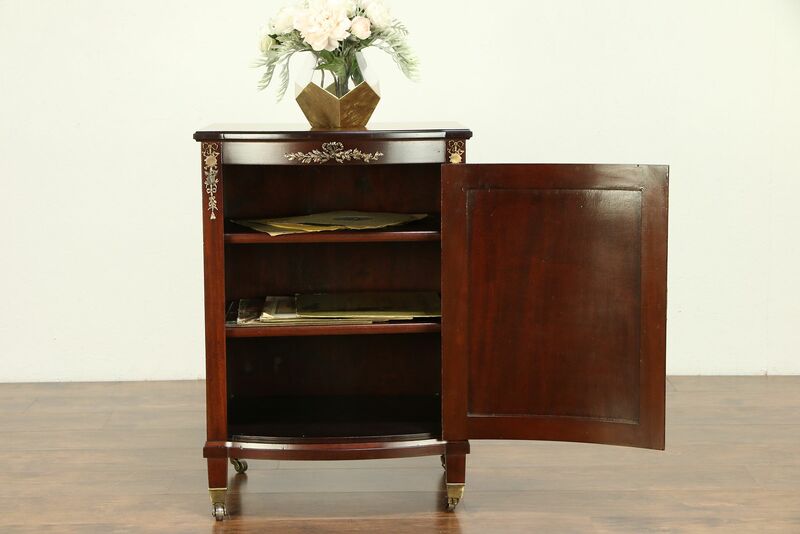 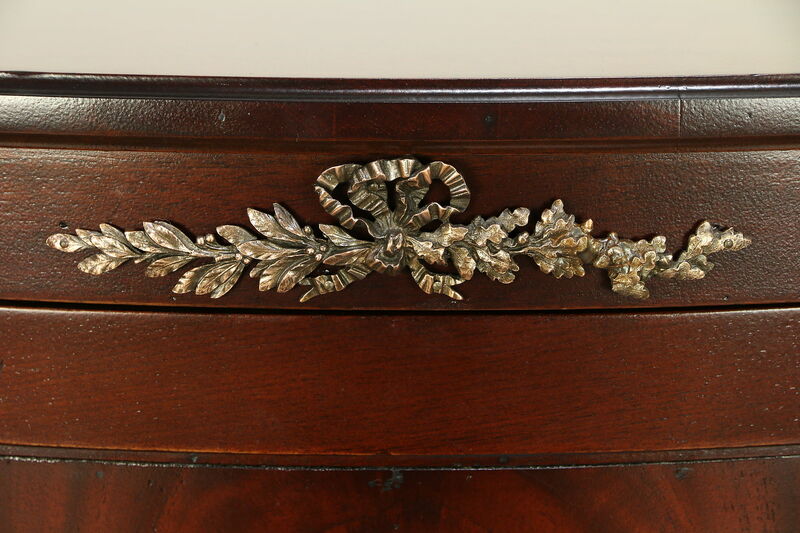 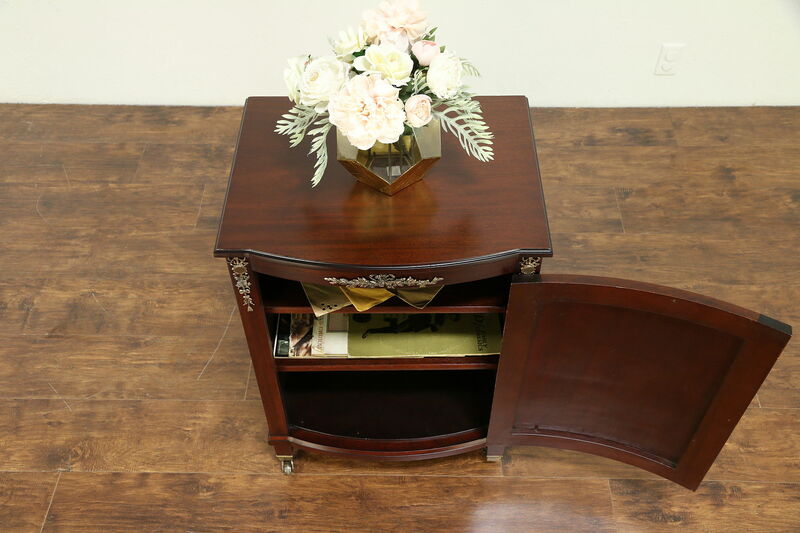 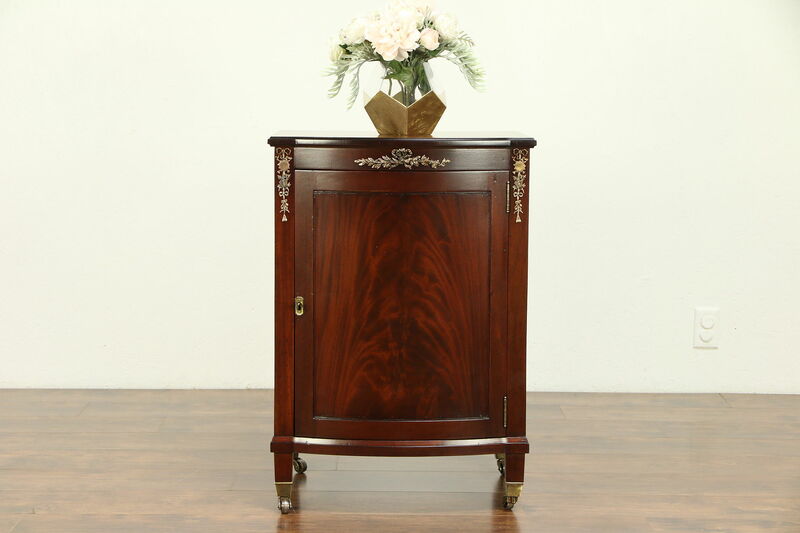 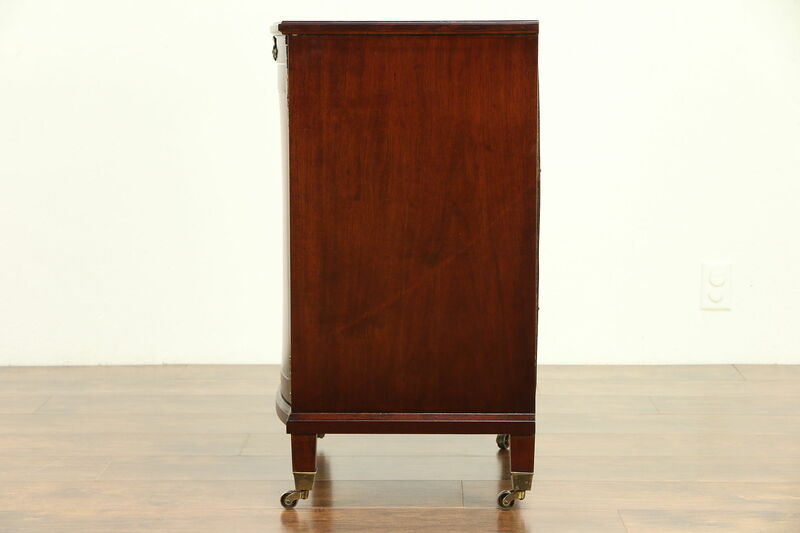 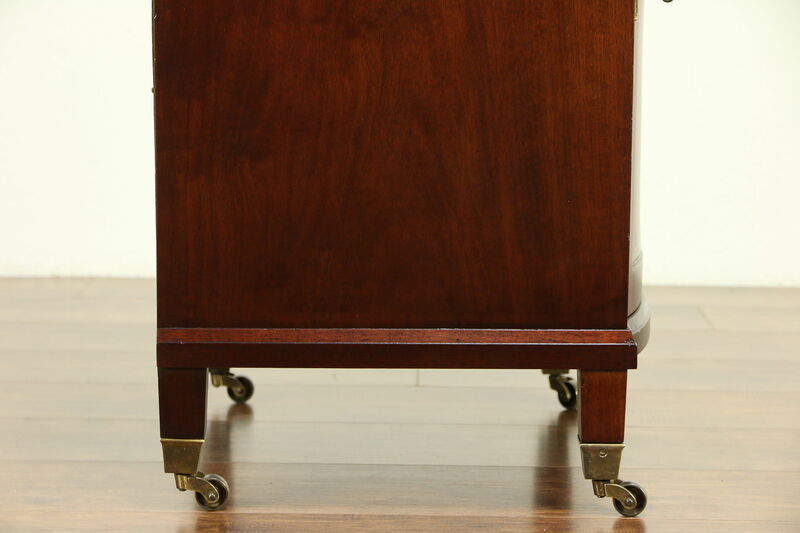 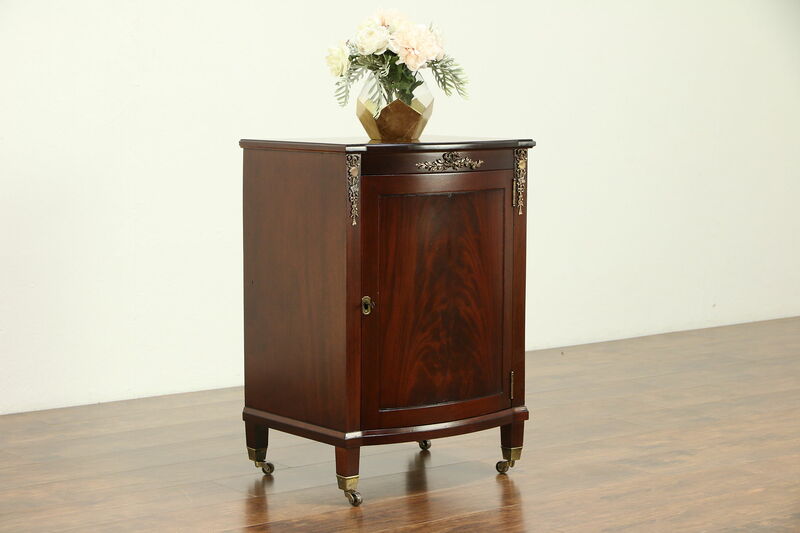 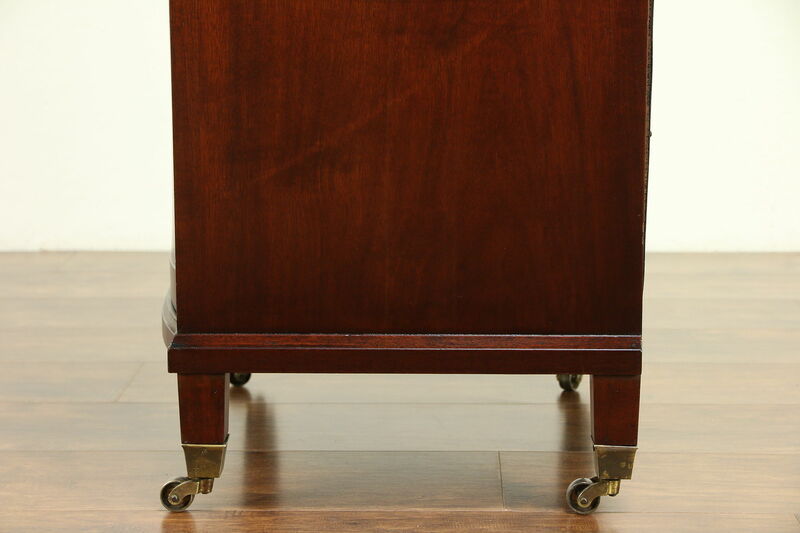 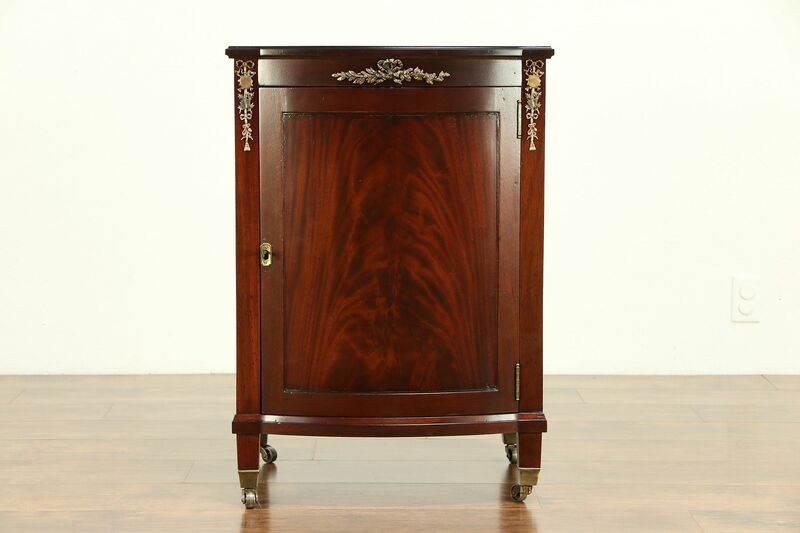 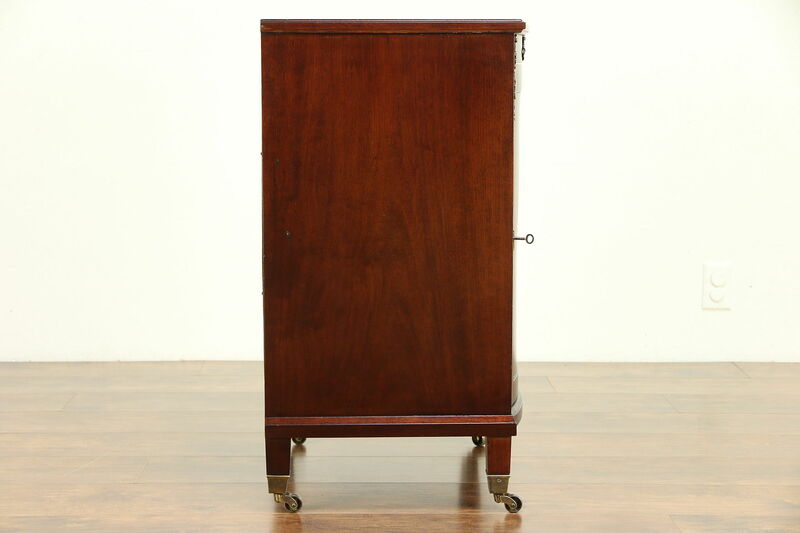 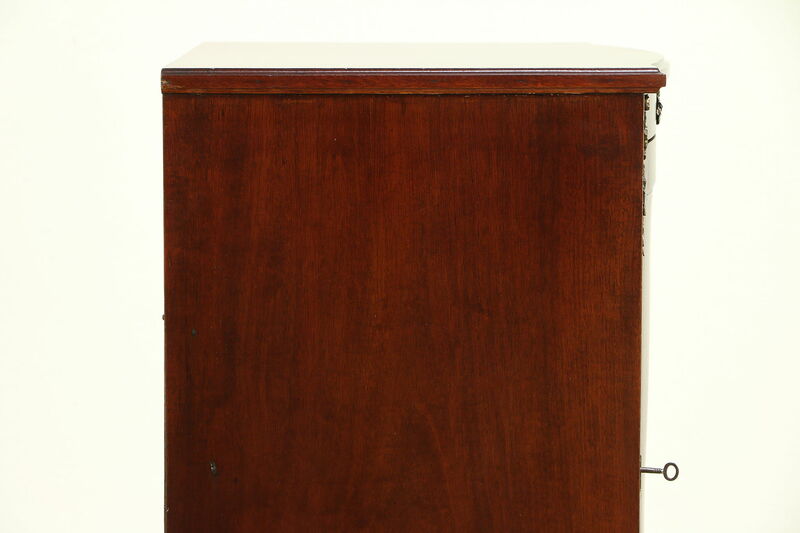 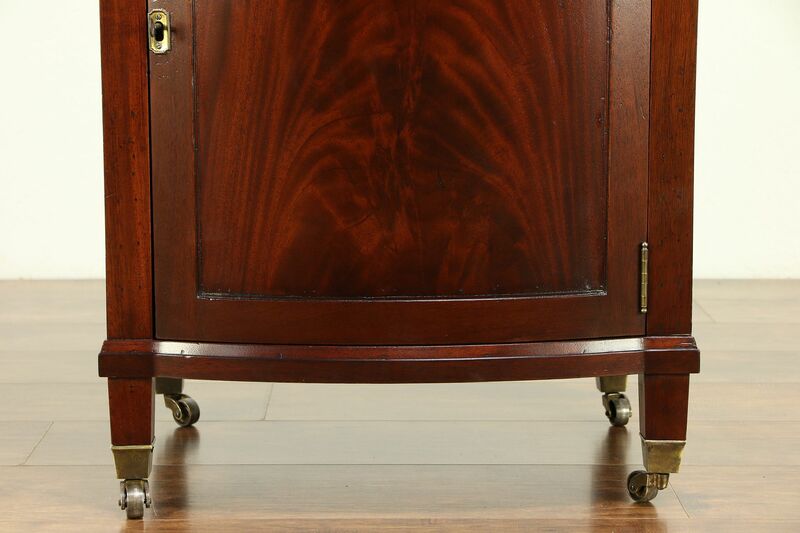 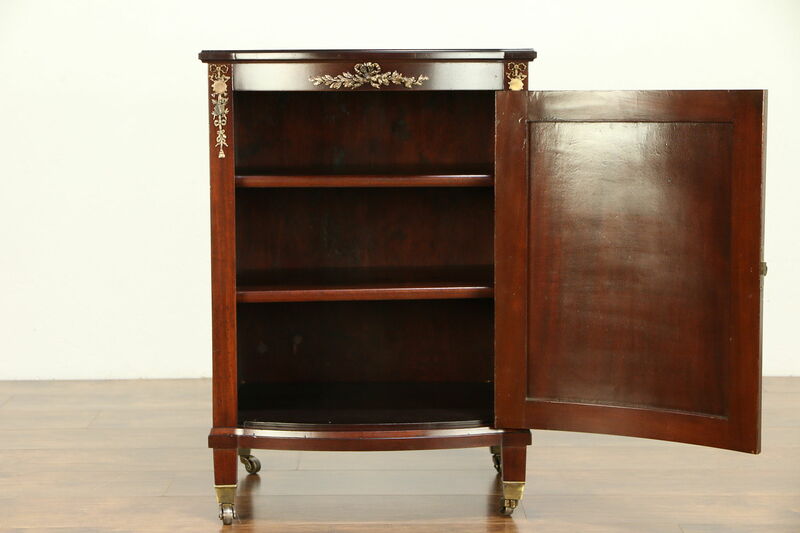 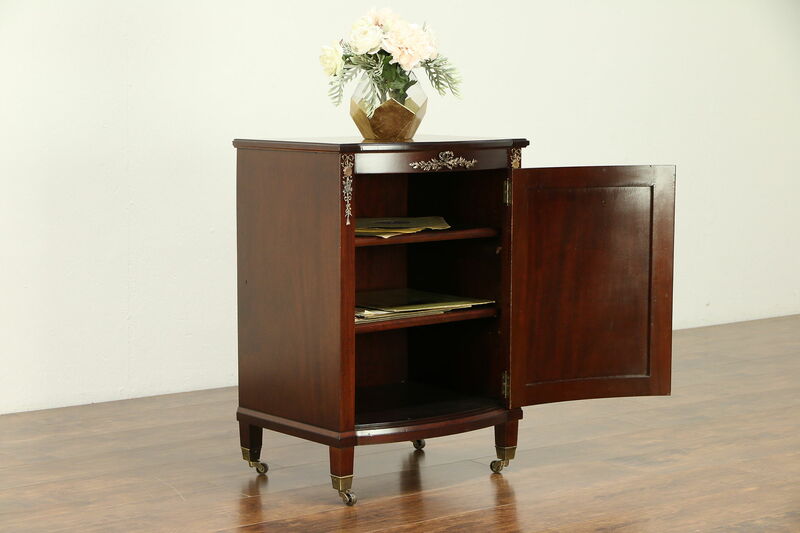 An elegant music cabinet from about 1910 is mahogany with a flame grain curved door. 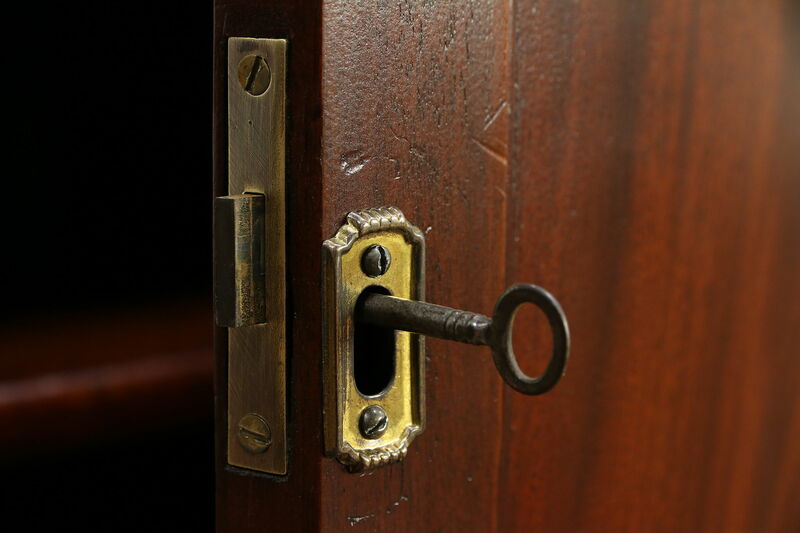 Brass mounts with musical instruments, wheels and the working lock are all original. 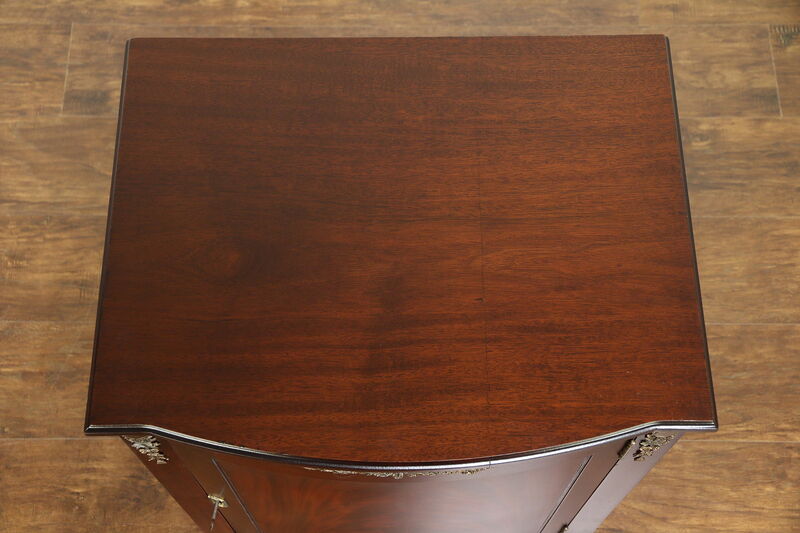 The restored rich finish is in excellent condition on this American made musical antique furniture. 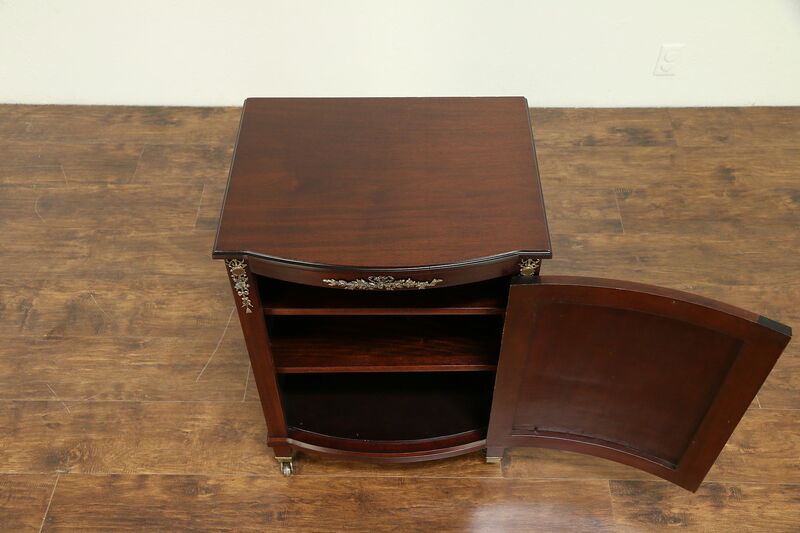 Size is 22" wide, 18" deep and 31 1/2" tall.